(March 17, 1834 – March 6, 1900) was an engineer, industrial designer and industrialist born in Schorndorf, Germany. Establishing his own company, Daimler-Motoren-Gesellschaft, Daimler and partner Wilhelm Maybach developed and produced a new, highly efficient 4-stroke engine and the first four-wheel automobile. Gottlieb Wilhelm Daimler (March 17, 1834 – March 6, 1900) was an engineer, industrial designer and industrialist born in Schorndorf, Germany. Establishing his own company, Daimler-Motoren-Gesellschaft, Daimler and partner Wilhelm Maybach developed and produced a new, highly efficient 4-stroke engine and the first four-wheel automobile. Gottlieb Daimler was born on March 17th, 1834 in Schorndorf, Germany as the second son of the innkeeper & baker John Däimler and his wife Frederika. In 1848 after her completed high school, Daimler settled into a gunsmith apprenticeship. In 1852, at eighteen, Daimler decided to take up mechanical engineering, abandoning gunsmithing, and left his hometown. He enrolled in Stuttgart's School for Advanced Training in the Industrial Arts and studied engineering under the tutelage of Ferdinand Steinbeis. Daimler performed well, and when Rollé und Schwilque began making steam railway locomotives in 1856, Daimler, then 22, was named foreman. After two years Daimler enrolled in the Stuttgart Polytechnic Institute to study steam engines and locomotion. Here he mastered various courses, including physics, chemistry, history, mechanical engineering, English and economics. 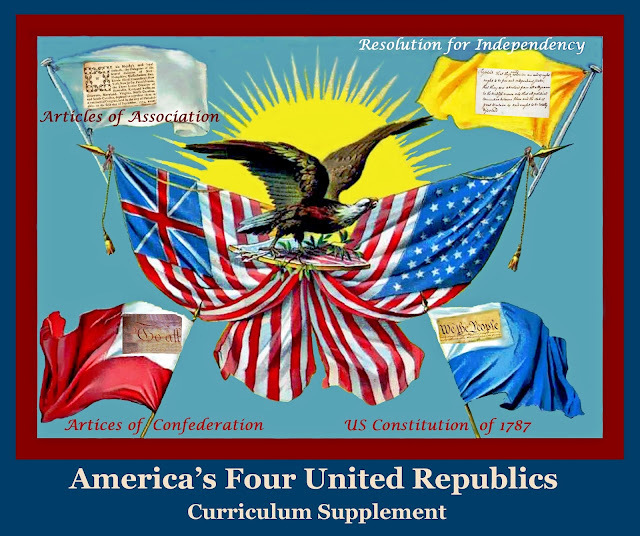 This education empowered Daimler with versatility and a propensity for practical knowledge. During this period he designed small, simple and inexpensive steam engines for light industrial use. In 1861 Daimler left Germany for Paris, where he was able to study the two-stroke internal combustion engine that was designed and built by Etienne Lenoir. From Paris, he continued his journey to London arriving there in the autumn 1861. He remained until July 1863 in “the motherland of technology” working with the country's top engineering firms. Here he mastered the design and use of machine tools. In 1863, after returning from London, Daimler was hired as technical director of the Brotherhood of Reutlingen. It was established by a philanthropic theologian, Gustav Werner who was charismatic leader with the socio-political ideas and a religious revolutionary. Werner was a staunch supporter of Christian socialism to an extent as to arouse indignation in the ecclesiastical world. Werner sought to shape the nascent industrial age by establishing a confraternity devoted to the reception and education of orphans, the disabled and individuals with challenges that normally would destine these young citizens to rapid marginalization. Werner, to this end, had constructed a paper mill, a machine shop and a carpentry shop that were not profitable enterprises. Daimler, whose management skills were quickly realized, was promoted to an executive to insure profitability of these and other Werner factory enterprises. Thanks to Daimler’s organizational skills and machinist education, the enterprises managed to show a profit. 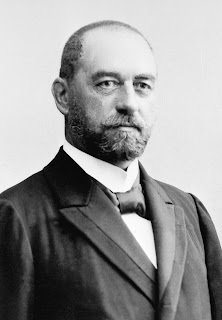 While there, Daimler met Wilhelm Maybach a teenage orphan. Daimler recognized in the intelligent young man a great creative propensity and marveled at Maybach’s determination to excel in any assignment asked of him. Maybach would become Daimler’s sidekick and later his most faithful collaborator. The lives of the two men would remain intertwined for the next 37 years, until Daimler’s death in 1900. 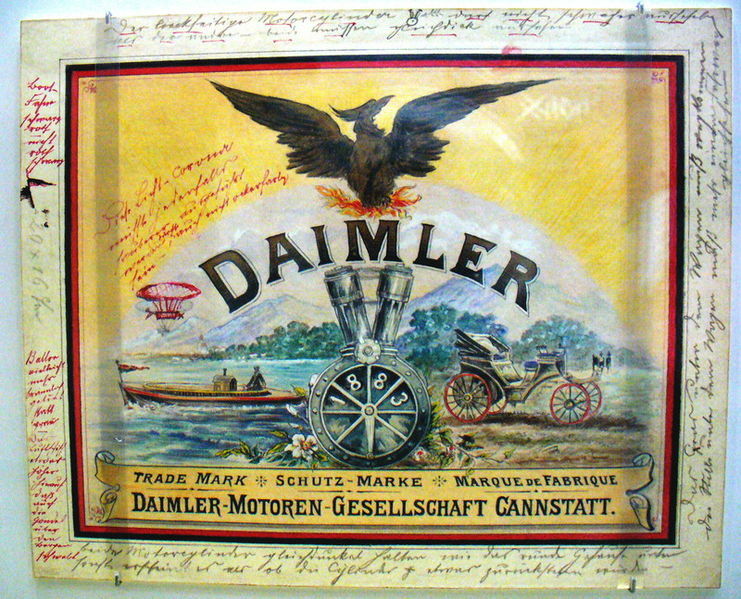 Daimler, also while employed by Werner, met and on November 9, 1867, married the local pharmacist daughter Emma Kurtz. Together, they had five children. Emma died on July 28, 1889. 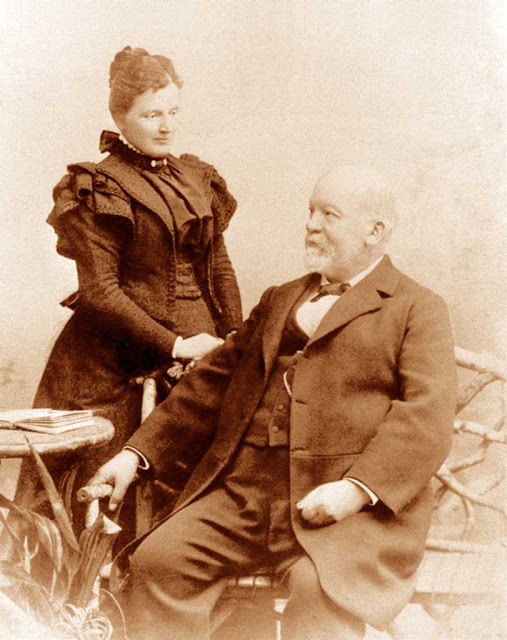 On July 3rd, 1893, at the age of 58, Daimler would remarry to hotelier Lina Hartmann of Florence, Italy. In July of 1869, Gottlieb Daimler got a job as a technical director at Officine Meccaniche of Karlsruhe , and suggested that Maybach follow him. Maybach did and was readily employed by the technical company. After three years in Karlsruhe, Daimler and Maybach went to Gasmotorenfabrik Deutz AG of Cologn. The Deutz had been founded by Nikolaus August Otto along with his colleague Eugen Langen. Maybach was hired as a production manager but later he was promoted to a designer like Daimler. Stubborn in his ideas, Daimler had a volcanic temper that often clashed with both Otto and Langen. 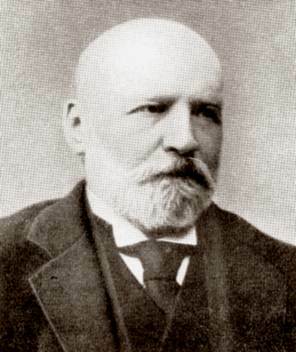 Daimler’s Deutz employment, therefore, became very challenging but Otto appreciated Daimler’s talents and together they collaborated on numerous inventions. Otto became famous for having invented the first four-stroke engine. The initial Otto four-stroke engine designed was extremely large, four meters high, heavy and the power it dispensed was extremely low at 1/2 hp. The large engine, in its current state, could not be used as a means for transport. Daimler and Maybach were able to improve the power output to 3 hp. The problem of miniaturization and ignition was solved by Maybach, but the engine could not exceed 200 rpm without incurring a malfunction. Nevertheless, it was a working engine that had commercial applications. 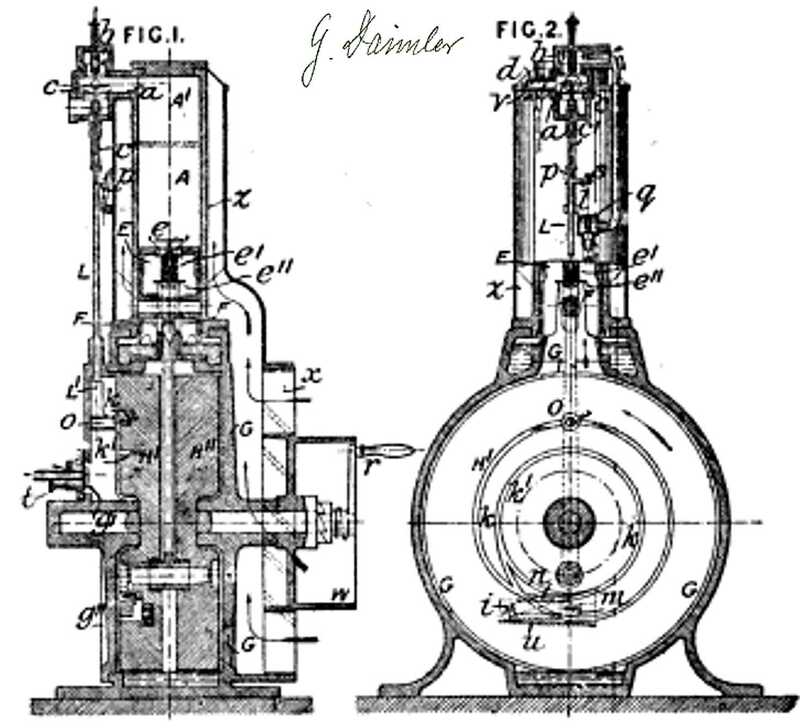 Otto filed a patent on the engine without taking into account the contributions of Daimler and Maybach who, in the company’s defense, were paid very handsomely for their work. This did not sit well with Daimler and tensions rose to new heights. Moreover, neither party would give way on direly needed improvements as Otto’s vertical piston design weakness clashed with Daimler’s stubborn insistence on using only atmospheric engines. This led the company to an impasse and Daimler was offered the choice of founding a Deutz branch in St. Petersburg or resigning. Daimler resigned and set up shop in Canstatt where he was shortly joined by Maybach. Daimler’s goal was to develop small, and fast-running internal combustion engines. These engines he deduced could be used everywhere powering vehicles of any kind on land and water. In 1883, he and Maybach developed a small engine that could operate at 600 rpm and then at 900 rpm with an 1884 advancement. Concerned about legal action by Otto, the team built and perfected an even smaller new engine. Unlike the previously used conventional stationary gas-powered four-stroke models, this engine was driven by gasoline combustion. The engine was converted from a horizontal to a vertical position, hence giving it the nickname of “grandfather clock” due to its resemblance of late 19th Century timepieces. The engine had an enclosed crankcase, on which stood the air-cooled cylinder. The intake valve opened and closed automatically, while the exhaust valve was operated by a curved groove control invented by Daimler, which also kept the revolutions in check. Additional features included a surface carburetor and a piston crown valve (abandoned again later) to assist the charging still further. The single-cylinder engine weighed just 60 kilograms, had a displacement of 264 cm and produced 0.5 hp, but now at 700 rpm. 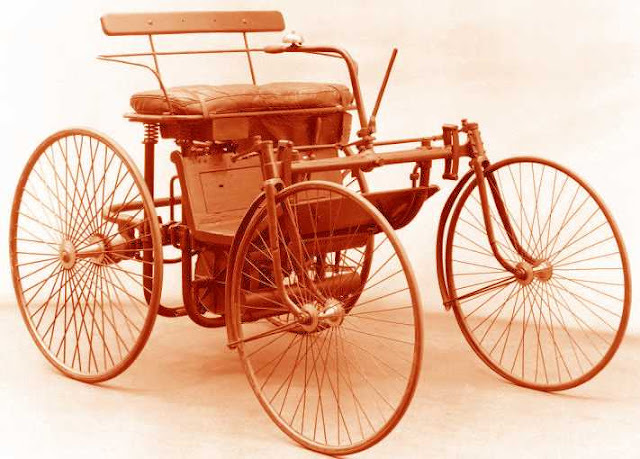 On April 3rd, 1885, Daimler received the kingdom Patent No. 34926 on its engine, and the new “grandfather clock” engine went down in the history of technology. 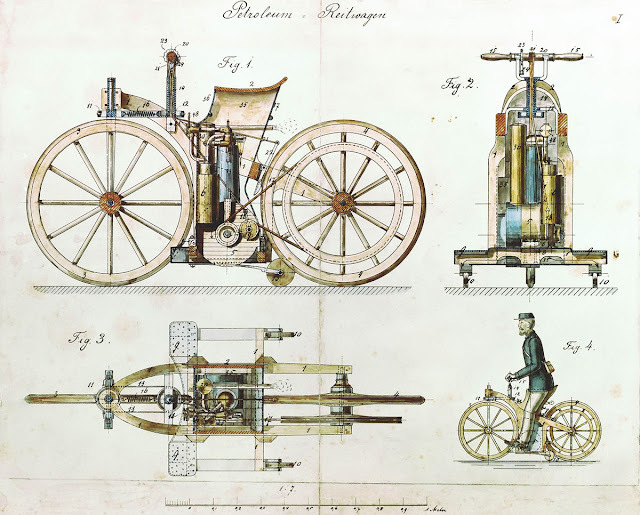 Daimler and Maybach, to test their invention, constructed the first motorcycle which attached the newly patented small engine to a wooden bike. The original design used a belt drive, and twist grip on the handlebars which applied the brake when turned one way and tensioned the drive belt, applying power to the wheel, when turned the other way. Daimler's plans also called for steering linkage shafts that made two right angle bends connected with gears, but the actual working model, however, used a simple handlebar without the twist grip or gear linkage. Maybach drove it three kilometers from Cannstatt to Untertürkheim, reaching 7.5 mph. The design, called the Reitwagen, was patented on August 29, 1885. This was followed by the installation of the “grandfather clock” gasoline engine in a boat. It was constructed in the Daimler greenhouse located in his back yard. The engine was mounted in a 4.5-metre-long boat which achieved 6 knots. The boat was called the Neckar after the river it was tested on and was registered as patent number DRP 39-367. Motor boat engines would become their main product until the first decade of the 1900s. In October 1886 Daimler installed his engine into a William Wimpff ​​carriage, which is now regarded as the first four-wheeled motor vehicle. The Motor Car built earlier in 1886 by Karl Benz had three wheels. The first official road test of the four wheeled Motorkutsche occurred in March 1887, one year after the order of the carriage by Daimler. 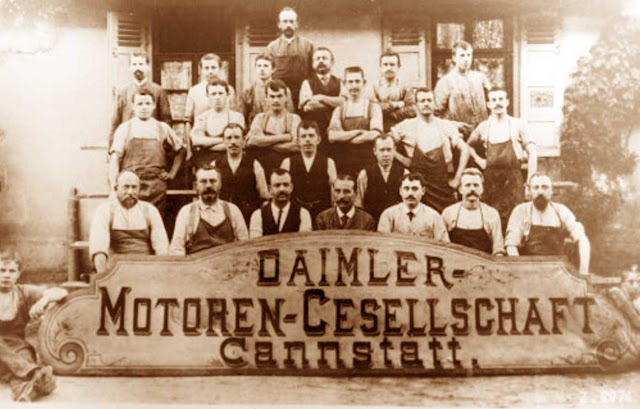 On July 5, 1887, Daimler purchased a property in Seelberg Hill (Cannstatt) previously owned by Zeitler & Missel who had used it as a precious metal foundry. The site covered 2,903 square meters, cost 30,200 Goldmark. Here Maybach and Daimler produced engines for their successful Neckar motorboat. They also sold licenses for others to make their engine products and Seelberg Hill became a beacon to the rapidly growing small vehicle motor industry. Daimler and Maybach were also intrigued with the Velo, whose prototype was built by Karl Benz in 1886. Benz and Daimler, despite their factories being located in areas close proximity, never had the opportunity to meet in person. All inventors and manufactures, however, were keenly aware of each other’s products closely examining all of their competitors’ inventions. In 1888, Daimler in coping with increasing product demands built his first two-cylinder vehicle. In that same year, Daimler built the first motorized airship, a balloon based on designs by Dr. Friedrich Hermann Wölfert from Leipzig. They replaced his hand operated drive system and flew over Seelberg successfully on August 10th, 1888. In 1889, Daimler and Maybach began to build their first automobile that did not involve adapting a horse-drawn carriage with their engine. The car resulted from Wilhelm Maybach proposing a new vehicle be built from scratch. They began with the tubular frame, already used by Karl Benz for its Velo, but this vehicle had four wheels instead three. The tubular frame was made from steel which also acted as conduits for the passage of the cooling liquid. Instead of a transmission belt, a gear system with four-speeds was developed to be manually operated. The vehicle also had an innovative twin-cylinder engine which many historians hail as the first V-engine in automotive history. This engine produced power up to 1.65 hp at 920 rpm, pushing the car to a maximum speed of 15 mph. The chassis section had two front wheels inserted into two cycling forks linked together by the steering system. The front and the rear parts were perhaps less modern, as they were rigid axle without elastic elements of any kind. There was no production in Germany, but the Daimler Stahlradwagen was licensed to be built in France. 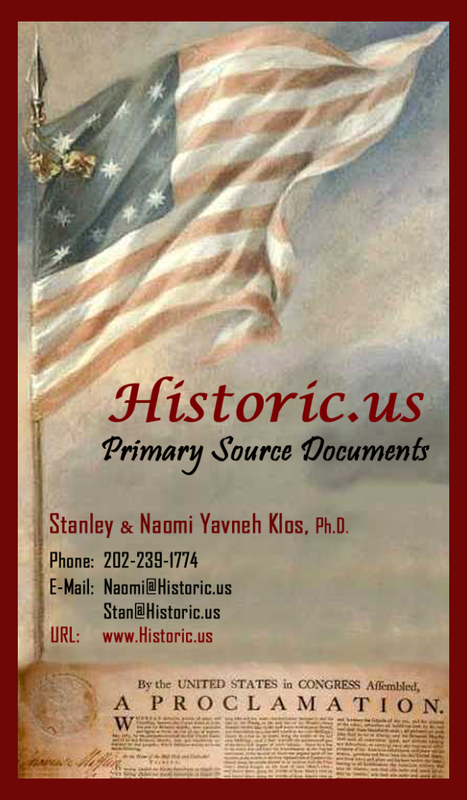 France was chosen in 1889 because the French were preparing to launch a spectacular exposition in Paris to celebrate the hundredth anniversary of the French Revolution. The Exposition Universelle was planned as a World's Fair to be held in Paris and was scheduled to open May 6th and close October 31st in 1889. This was the first exposition where electricity would be used in a foremost way. Each evening and all through the night, the lower part of the Eiffel tower, the tallest structure in the world, and its surrounding fountains were lit up, creating a spectacular electric light show. 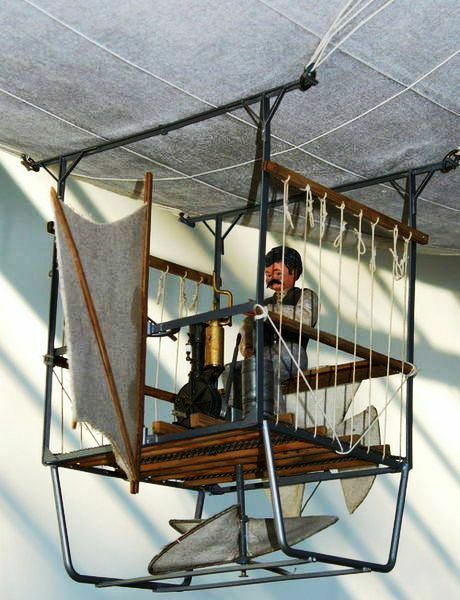 In the Gallery of Machines, built under the arch of the tower, visitors stood on a high moving platform to view the wonderful inventions, which had been developed during the Industrial Revolution. Daimler’s Stahlradwagen, built in France, was a featured exhibit at the Exposition Universelle. The Stahlradwagen, although not a commercial success, established an important Daimler business relationship between Emile Levassor and René Panhard of Panhard & Levassor. Specifically, the car had attracted the attention of Madame Louise Sarazin, widow of Edouard Sarazin, who had taken over her husband’s company, which was also making engines and motorized vehicles. Madame Sarazin negotiated an agreement with Daimler acquiring the right to use and market his engines. Madame Sarazin had planned to distribute the engines to Car Manufacturer Panhard & Levassor, but the following year she married Emile Levassor, one of the founders of the French House. This resulted in a boom to Daimler’s engine line. Daimler, also to due to the Paris show, executed a contract with Peugeot to utilize his engines in their motor vehicles. In 1890, the company had expanded its motor business with distributors in London and New York. Despite this, Daimler ran into financial trouble because it was unable to sell enough motors to cover the increasing overhead that was a product of the small company’s growth. This lack of liquidity led Daimler to look for partners and his banking connections led him to Max von Duttenhofer. In 1863 Max had taken over a powder mill from his father which he expanded into the Rottweil gunpowder factory. In 1884 Duttenhofer’s team developed smokeless gunpowder which, at the time, was a sensational development in the field of military technology. By 1890, he was flush with cash and the Managing Director of the Cologne-Rottweil powder works. He and his friend, Wilhelm Lorenz, founded with Daimler a new corporation and named it Daimler-Motoren-Gesellschaft or DMG. The shareholder’s agreement named Maybach as the Chief Engineer of DMG but the terms of employment were objectionable causing much tension between the Wilhelm and DMG. 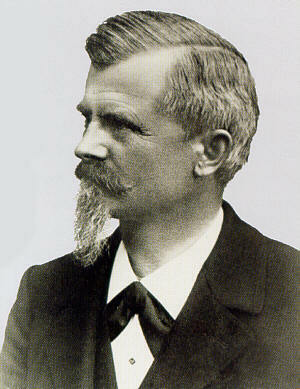 Karl Linck, Daimler’s accountant, was hired as the head of marketing. Both men were promised positions on the Board of Directors. 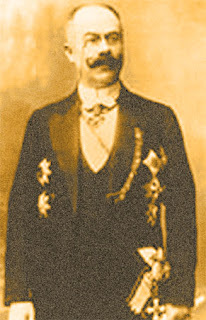 Maybach left the company on February 11, 1891 over disagreements with Duttenhofer and DMG refusal to give him a seat on the Board of Directors. Max Schrödter, Maybach[s replacement, understood very little about the company’s combustion engines. He, Duttenhofer & Lorenz enlarged expanded the company from 22 to 163 employees in its first year. The workforce, like Schrodter, was unqualified and complex engineering that was required in engine production resulted in DMG marketing inferior products. Daimler, now only owning 1/3 of his company, unsuccessfully clashed with Duttenhofer & Lorenz over the employee expansion and the quality of product line. By the third fiscal year, losses amounted to 140,000 marks thus eliminating all the gains made at DMG in its first two years. Gottlieb Daimler autographed signed card - "My heartfelt congratulations on the arrival of a lightfire. The beloved ones will be happy that they now have a little sister and the boys not less. Hope that mother and child are well. I let you know that I brought the family happily into the home country. I hope it will be a good move for my wife, the boys like it there. Sincerely to all of you." 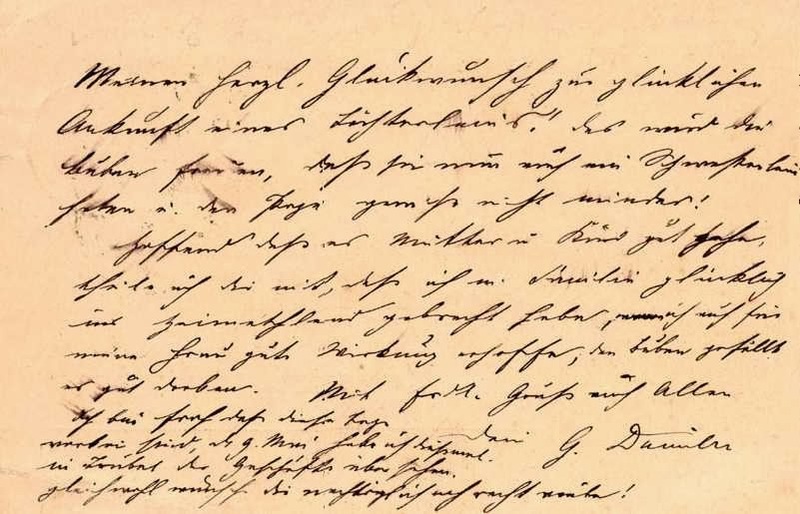 Handwritten postscript: "Happy that those days are over, when I oversaw the bustle of business. Wish you all the best. She is urgently calling me. G.Daimler"
In 1892, after the first complete car built by DMG went to market, Daimler realized that he erred in partnering with Duttenhofer and Lorenz. Seeking to reestablish an association with Maybach, Daimler convinced the board of DMG that should be permitted conduct Research and Development independently of DMG. Working first out of Maybach’s home, by the fall of 1892 the duo was able to rent the garden room of the former Hermann Hotel. Daimler provided the financial resources for R&D and gave Maybach a free hand as the designer. During this period Maybach invented the innovative spray-nozzle carburetor and developed innovations on engine cooling systems. The patents for these inventions along with all the other designs, as per their agreement, were registered in the name of Maybach. Daimler and Maybach worked together under this arrangement until 1895. Meanwhile, during this period, Duttenhofer, Lorenz , and designer Schroedter focused DMG’s business on stationary engines. Customers complained about the poor reliability of the DMG engines and the quality of the frames. The business faltered and by 1894 the company had a debt of 385,000 marks. Additionally, without Daimler and Maybach, the company had only manage to complete 15 automobiles. DMG international company distributers began to call for the return of the former Daimler and Maybach design team. In their desperation, they offered DMG 350,000 marks for engine licensing rights under the condition that Daimler and Maybach return as executives to the company and placed in charge of engine development. Duttenhofer and Lorenz, despite their disappointment, had no other sound financial options and were forced to re-contract Daimler and Maybach. Daimler was wooed back with a substantial compensation and returned as DMG's inspector general. Maybach came aboard as DMG technical director and a member of the Board of Directors. After additional corporate reorganization, the business was re-launched. In 1895 DMG launched the Riemenwagen, which was the first car to have been used as a taxi . The Riemenwagen was also popular with private clients and marketed by pushing its combined qualities of reliability and motoring comfort. Riemenwagen offered a range of engines. Its most popular engine had a twin-cylinder carburetor jet with a compression ratio of just 2.5:1. Its innovative lubrication system made ​​use of oil extracted directly from the crankcase. Among other technical features, the car had a 4-speed belt feature that gave its name to the car (in German Riemenwagen means car belt). Additionally, the clutch was a tensioner and another peculiarity included a circular steering wheel rather than a joystick. The following year, DMG gave birth to truck industry with its Daimler Motor Lastwagen. The truck consisted of a cargo carriage with four wheels and a front seat placed in a raised position. The engine, a twin-cylinder design, was placed at the front of the vehicle and capable of producing 4 hp. The Lastwagen became very popular with English breweries for delivering beer to local pubs. 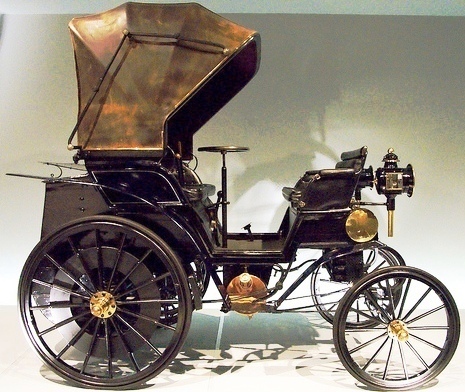 In 1897 DMG began to produce the Daimler Phoenix-Wagen. The name Phoenix was first used to tag a new DMG engine developed by Maybach. This was an in-line two-cylinder engine with combustion chambers formed in a parallel mono-block. The block was then mounted on a housing of the spherical shape that contained the crankshaft. The Phoenix-Wagen, which used this engine, was developed to complement and later replace the Riemenwagen. The first Phoenix-Wagen was different from the Riemenwagen in that it had a sheet steel U-section frame, an improved exchange rate and tape gears being replaced by a standard 4-speed geared transmission. The standard Phoenix-Wagen was equipped by a twin 1060cm Phoenix engine that produced 4 hp at 700 rpm. The dealers, however, offered their customers options to enhance or reduce its power with either a 6 hp or 2.3 hp DMG engine. The Phoenix-Wagen body, however, was the real novelty as it was the first car to include a front bonnet for the driver. More particularly, the vehicle was the first passenger car with front engine that reached top speeds of about 25 kph. Another DMG turning point came in 1898, when the Phoenix-Wagen ignition system replaced filament with a magnetic low voltage system devised by Bosch. 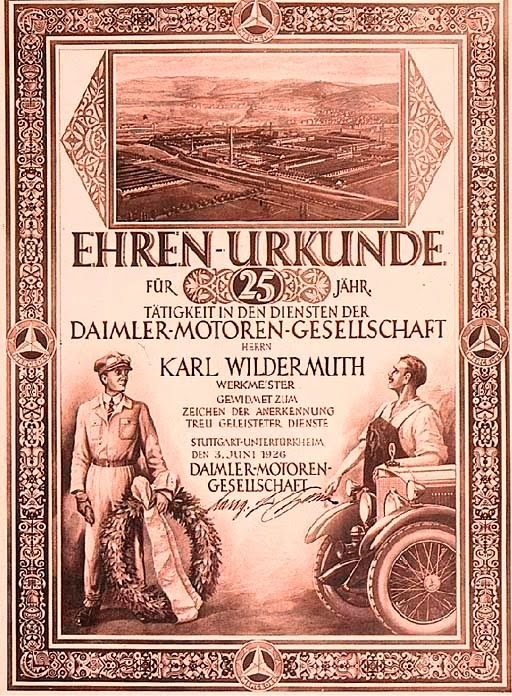 Daimler Benz rare early original long-service certificate for 25 years employment from 1901-1926 decoratively illuminated with manuscript dedication in black ink, signed Ing F. Porsche in black ink. By 1899 the Riemenwagen was entirely replaced by Phoenix-Wagen which was equipped by a 4 -cylinder engine, the first in automotive history. This engine was invented by coupling two twin-cylinders used in the engine's basic version with a reduced bore from 75 to 70 mm in order to obtain a displacement of 1845 cm and 6 hp at 700rpm. The maximum speed of this original version of the tip was 40kph. Despite these successes, DMG was not profitable. Max von Duttenhofer established, with Daimler investment banker Kilian Steiner, Motorwagen GmbH to compete against DMG in 1899. Duttenhofer had falsified papers that gave Motorwagen a license to manufacture automobiles with Daimler engines and parts. Motorwagen sold the automobiles at much lower prices than DMG which caused its sales and revenue to sharply decline. Daimler, realizing that he had been deceived by Duttenhofer and Killian, tried to rectify the situation with the dishonest duo. His negotiations, however, proved fruitless and this aggravated an already tenuous heart condition. In early January, 1900, Daimler was ordered by his doctors to stay away from work and spend a good deal of time in bed. On March 6, 1900 Gottlieb Wilhelm Daimler died at his home. The Father of the Automobile. By the death of Gottlieb Daimler, the celebrat. d Uerimin inventor and engineer, last month, the world has lost the guiding spirit and creator of modern automobilism. Daimler was a man who resurrected the crude principles employed in the earliest horseless carriages and infused into them a new life. Thus he is in truth the father of the modern automobile. Daimler's great achievement was the invention of the gasoline and petroleum explosion motor, which, fifteen years ago, revolutionized the construction and industry of light mechanical motors. His cylindrical motor in upright V form immediately became known as the celebrated Daimler Motor. In various modified forms it has been applied to a great majority of all the various gasoline motors now in use in Europe and in America. Later, as a result of the collaboration of Europe's most famous automobile inventors, Daimler and Levassor, a new motor was devised, the so-called "Phoenix Daimler" which has achieved such startling success in French racing machines. Levassor adopted the sprocket and chain, but Daimler insisted upon the use of pulleys and belts for the speed changing gear, and of gearing in the transmission of power. Before the death of Levassor, it was agreed that the system which gave the best results would be adopted. Daimler's system carried the day. 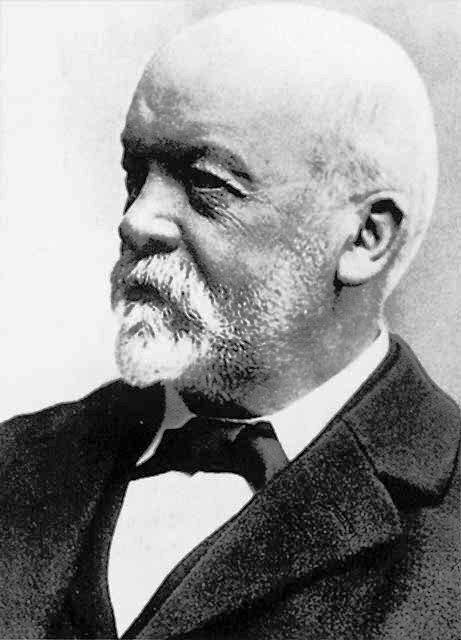 Gottlieb Daimler began his career as a common mechanic. He was born at Schorndorf in Wurtemberg. on March 17, 1834. After leaving school, he worked as a mechanic in a tool factory at Grafenstaden, in Alsace. In 1857 he had earned enough money to attend the Polytechnic Institute at Stuttgart. After his graduation there he went to England and France and there continued his studies for two years at several of the best known factories. On his return to Germany, he was employed as an assistant foreman in Geisingen and Reutlingen, but soon left these machine shops to become the foreman of a large machine factory at Carlsruhe. In 1872 he was entrusted with the installation and management of a new factory for the construction of gas motors at Deutz. Within the space of ten years Daimler transformed this factory into a huge establishment of world-wide renown. In conjunction with Dr. Otto he constructed the first gas motor of one hundred horse-power, which has since become celebrated as "Otto's Motor." In 1882 he left this concern and established a factory of his own. It was at this time that he aided the well known Messrs. Crossley. in Manchester, in their first construction of gas motors which have since then achieved so prominent a place in England. The first product of Daimler's new factory was a motor with a horizontal cylinder in which the gas was compressed before ignition. By means of a so-called amorce, ignition was produced in such a manner that the motor continued to work, even after the extinction of the amorce. The cylinder was cooled by air flanges. Next year Daimler constructed his first upright motor with a cylinder where all the constructive parts were contained in a tight case. In 1885 Daimler patented the first motor cycle with a motor on the rear wheel. By the end of the same year he was able to turn out his first practical motor carriage. The inventor's genius next turned to a construction of vertical motors for gas or petroleum to be used in launches. This invention achieved instant favor and soon became one of the most profitable products of the Daimler works. In 1887 Daimler patented a motor street car propelled over steel tracks by means of a single cylinder. Change of speed was provided by three pairs of interlocking wheels which could be shifted at will. This invention was exhibited by MM. Panhard and Levassor at the Paris Exposition of 1889, where it excised universal attention. In all Gottlieb Daimler invented no less than fifteen different motors, all of which were patented by himself, and were turned to immediate practical use. In his personal character the German inventor was one of the most kindly and generous of men. This serves to explain the great friendship that sprang up between him and so many French automobilists. As Baudry de Saunier has told in his Petites Anuales, Daimler's factory and private laboratory at Connstadt, during the last few years, came to be considered as the true Mecca of all the most progressive chauffeurs, and they drove there on their motor wagons from all parts of the continent. The Hon. Evelyn Ellis, the pioneer of British automobilism. not long ago related this interesting episode of his personal relations with the German inventor. Herr Daimler came to visit him at Malvern, in England. Mr. Ellis' automobile, fitted, of course, with the Daimler engine, carried the inventor over a long drive from the station to the house. After luncheon a more extensive country drive was undertaken, but at the first hill the machine stopped. The combined experience of the inventor and the owner failed to make the motor start. Every known expedient having been tried in turn, Mr. Ellis turned away disgusted, but Herr Daimler gave his motor a slap with his open hand, as if to say, "Now, will you be good?" This slap shook off some soot which had settled on the inhalation pipe, and in a moment the motor was running perfectly. Subsequently Mr. Ellis purchased from Mr. Daimler two of his most perfected motor carriages and no less than six motor tricycles. He did this impelled solely by the personal magnetism of Gottlieb Daimler.